In a video posted online and obtained by CNN, Hind Mohammad Albolooki, 42, says she fled Dubai after her family threatened her when she sought a divorce from her husband. Her request for asylum in Macedonia was rejected on February 4 by the Macedonia interior ministry. While awaiting a decision, Albolooki is being held in immigration detention, where she has been since December 7, and now fears she will be deported back to the United Arab Emirates. In a video recorded in December before her arrest, Albolooki said her family did not approve of her seeking a divorce because it would affect their reputation. “They don’t want their name to be spoiled,” she said. Albolooki said her family tried to take her passport away. “If someone is asking for passport or ID, that means that there is something going on and I wasn’t that stupid,” Albolooki said, adding that in that moment she decided to run away. Albolooki’s friend Nenad Dimitrov, who lives in Kochani, Macedonia, and has been running the 42-year-old’s Twitter account since she was detained, said he met her on a cruise ship and has been in contact with her since. He said Albolooki escaped her family on October 2 after being allowed to go to the toilet. From there, he said, she ran — without her shoes — and hid in a nearby construction area before finally hailing a taxi that took her to a friend’s place in the Emirati city of Sharjah. He said from there she fled overland to Bahrain. CNN has been unable to contact Albolooki’s family. Dimitrov said Albolooki reached out to him asking to help her book flights to Macedonia because she was afraid to book them on her credit card. “When she asked for help she was in Bahrain and said ‘I don’t have anyone to go to, can you help me get tickets? '” Dimitrov told CNN. Albolooki eventually flew through Turkey to Serbia before entering Macedonia on October 4. She applied for asylum two weeks later. It said it had since granted Albolooki a 15-day grace period to voluntarily leave the country. Dimitrov said Albolooki is eager to seek asylum elsewhere, but detention has made that difficult. 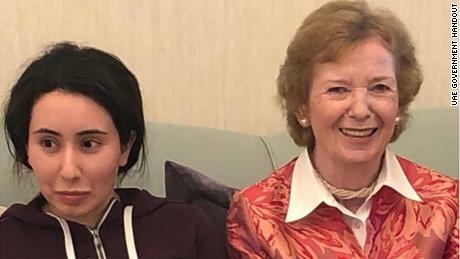 “The patriarchal system, and informal male guardianship rules she is fleeing are just as pronounced in the UAE as they are in Saudi Arabia,” Stirling said. “There is a misconception that the Emirates is a more liberal, Westernized society; the UAE has worked very hard to manufacture that image, but the reality is drastically different. According to the nongovernmental organization Transparency International, Macedonia was ranked 34 out of 100 for its perceived levels of public sector corruption in 2017. Relations between the UAE and Macedonia are handled in Rome. In a statement released by WAM, the official news agency of the UAE, the deputy head of mission at the UAE Embassy in Rome, Ahmed Almulla, said his government was aware of Albolooki’s social media posts. “The embassy will collect any evidence of illegal threats made against her and pass it to police so that it can be fully investigated. Our embassy staff are ready to help Mrs. Albolooki in any way they can,” Almulla said. 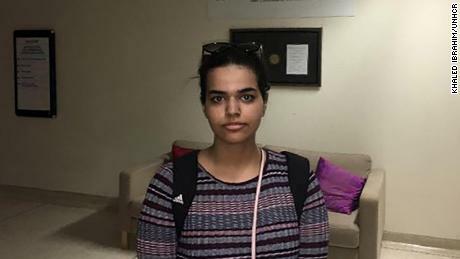 Albolooki’s story comes after the Dubai ruler’s daughter, Sheikha Latifa bint Mohammed Al Maktoum, made headlines last year for reportedly trying to escape her family after claiming she was tortured and detained for three years. CNN’s Samuel Quashie-Idun contributed to this story.